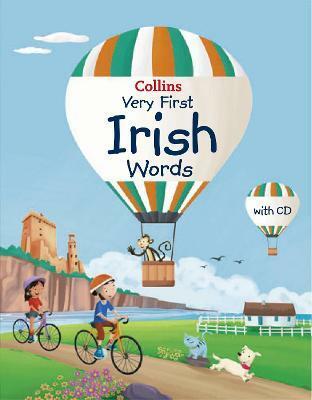 The perfect first Irish dictionary for learners of Irish aged 4+. Packed full of fun and useful everyday vocabulary, this beautifully illustrated dictionary will capture the imagination of young children and encourage a love for learning Irish. The dictionary contains 35 themes, each fully illustrated with fun and engaging scenarios. Three characters, Ben, Daisy and Keekee the monkey, guide the children through their daily lives and introduce them to the 300 Irish words young children need to learn. There are activities on every page for children to engage with and an audio CD so children can practise saying the words they have learnt. Collins Very First Irish Words aims to make learning Irish fun.